from:http://circleandhemisphere.blogspot.com/ and I’m a Guest blogger for Y’adore Fashión. Today I wanted to talk about Braids, because summer time is almost here and it’s very cozy to have braids in when the weather is too hot to handle!. Braids are a classic and elegance hairstyle, but it’s doesn’t mean they have to be boring. There’s a lot of different type of braided hairstyle, such as fishtail, French braid, waterfall braid, rib cage braid and etc. etc. Braids can do everything from add interest to an up-do or give a hippie-chic twist to straight strands. Fishtail crown braid is a very good hairdo for summer time, and you don’t want any hair to fall on our face. 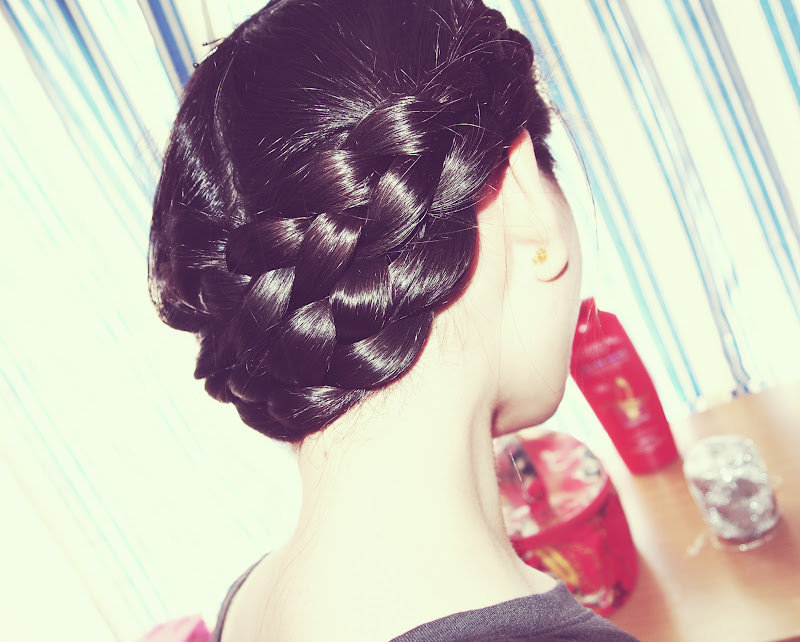 This hairdo is also inspired by the ancient Rome/Greece hairstyle. I hope you all can learn something from this video, Thanks for watching!.